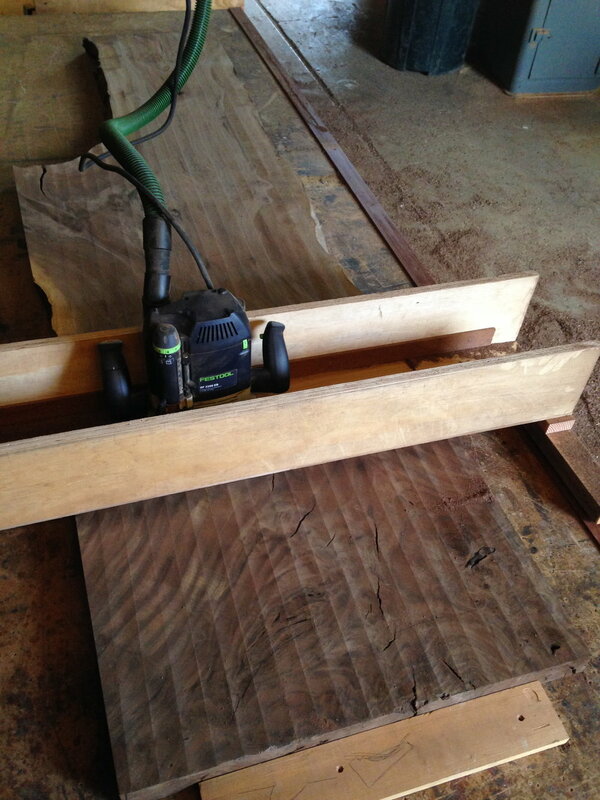 There are a lot of live edge slab tables on the market these days. So when one of my clients asked about one, I suggested that we run the natural edge down the center of her table. Try something different! The result was a table style we're calling "the San Andreas". The meandering joint line resembles a fault line on a topographic map, hence the name (that and the fact that we are located very near the San Andreas fault). Each San Andreas table is a custom order because the slabs are different every time. We currently have walnut slabs to accommodate table lengths anywhere from 4' dining table to a 17' long conference table. Of course, longer slabs can be purchased. For info and pricing, please contact us. For those that are interested in the process of making this table, here are some photos. ...and here are a few photos of the finished product.